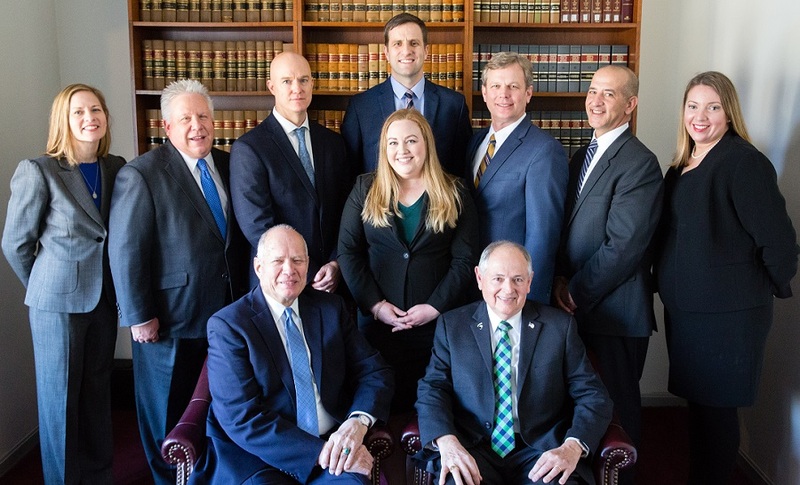 TATE BYWATER attorneys at law stand willing to assist you in courts throughout Fairfax County and Prince William County in Virginia, as well as other Virginia counties, Maryland and the District of Columbia. TATE BYWATER is Peer Review Rated by Martindale Hubbell® and five partners are recognized as AV® Preeminent™ by Martindale-Hubbell® - a testament that our attorneys are highly respected among our peers. We are here to help you tackle the tough legal issues in your life. Whether you’re starting a business, purchasing real estate, have suffered a major accident, are planning your estate, going through a divorce or custody battle, or have been accused of a crime, our experienced attorneys are ready to help. If you never need an attorney, you're lucky. But if you ever do, don't count on luck. Count on TATE BYWATER. Founded in 1972 by James R. Tate and Douglas E. Bywater, TATE BYWATER has grown from one office in Vienna, Virginia to a multi-office full service law firm serving the entire Washington metropolitan area. Our attorneys stand willing to assist you in courts throughout Virginia, Maryland, and the District of Columbia. TATE BYWATER exists to help you tackle the tough legal issues in your life. Whether you’re starting a business, purchasing real estate, have suffered a major accident, planning your estate, are going through a divorce or custody battle, or have been accused of a crime, TATE BYWATER’s experienced attorneys are ready to advise and help you. We’re real people, and we solve real problems. Our Vienna & Fairfax County law firm exists to meet your unique needs. Simply put, we are lawyers for your life. Please browse our site and reach out to us for a free consultation at your convenience.